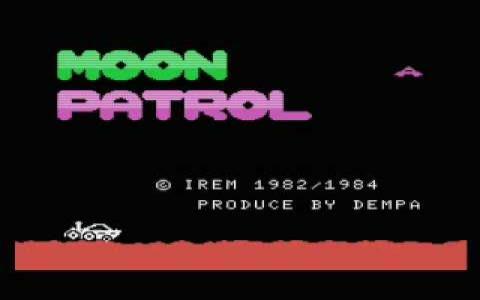 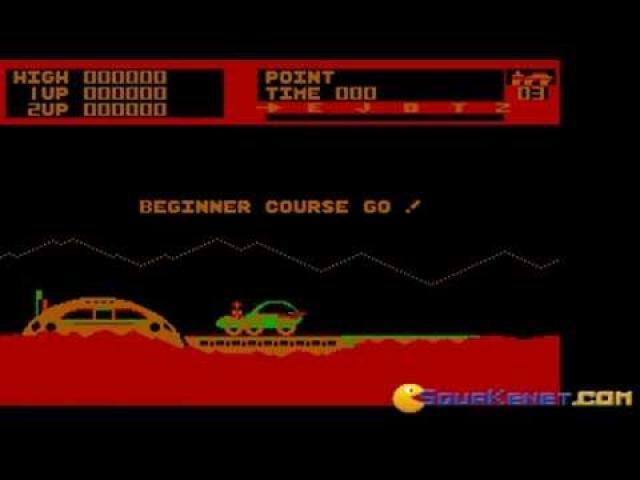 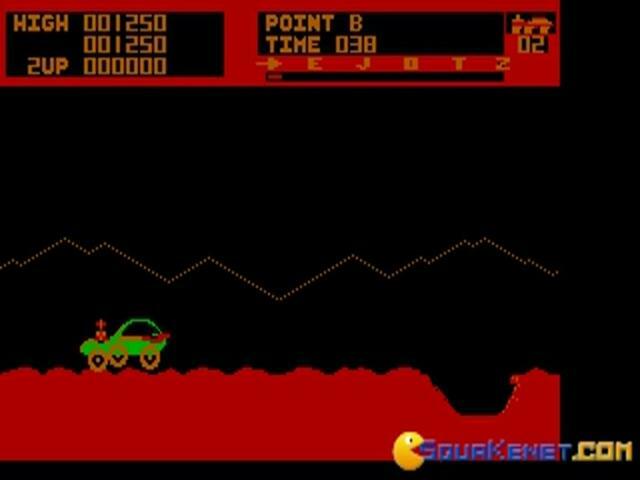 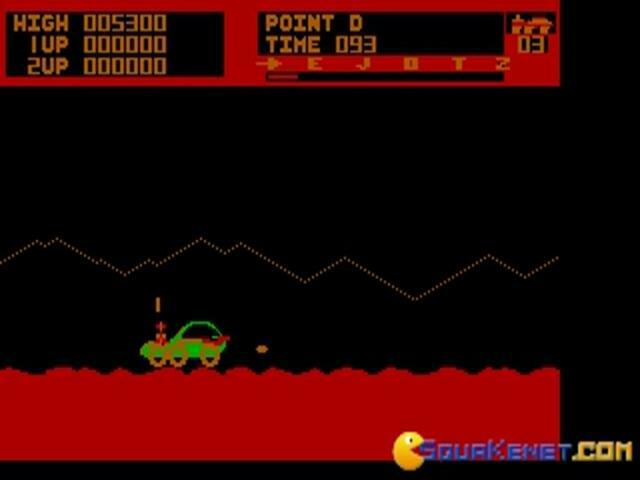 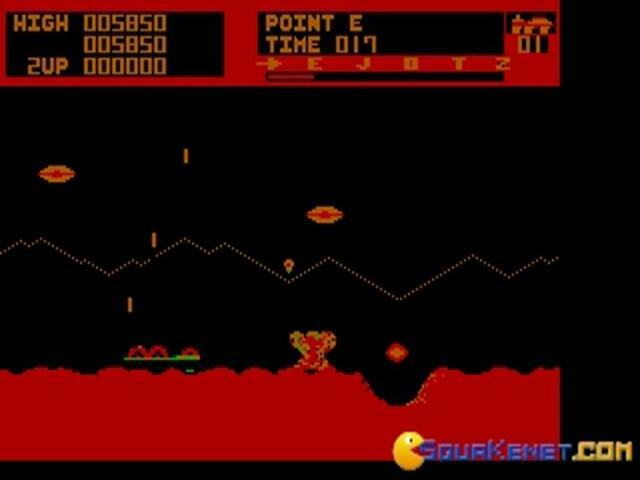 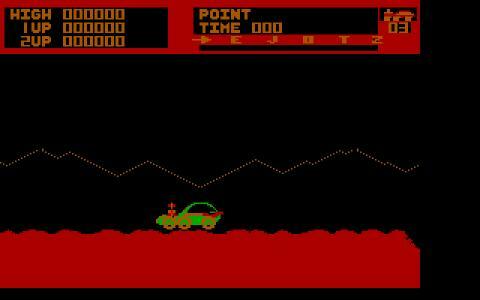 Moon Patrol was a game produced by IREM in the early 80s and distributed as a cabinet game for a while, but then the distribution rights were sold to Atari who ported it for home consoles as well as home computers. 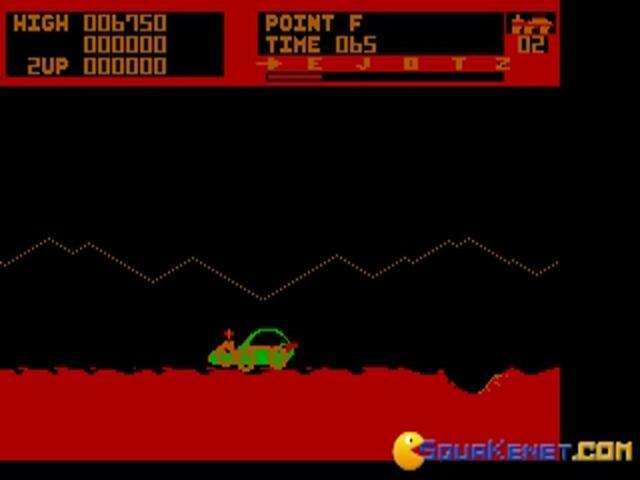 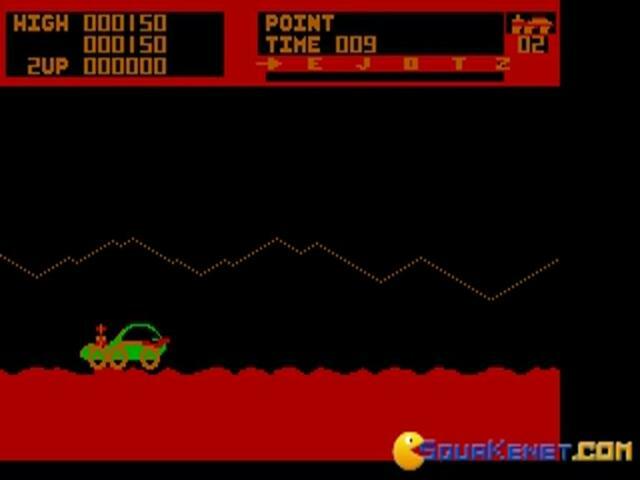 The DOS version is a faithful representation of the original. 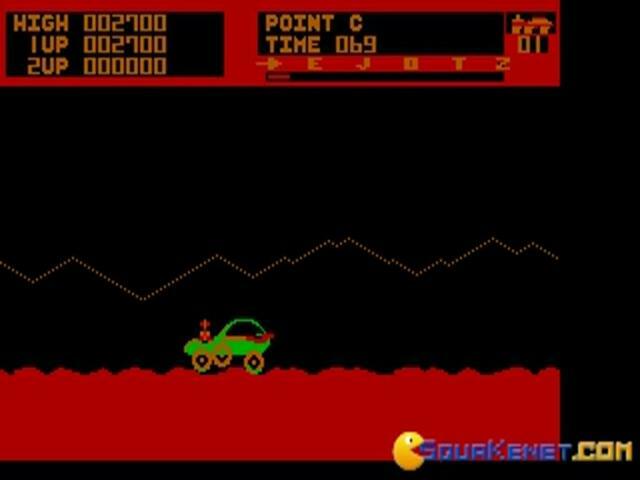 You have the same moon vehicle which can jump and shoot vertically and horizontally while scrolling from left to right. 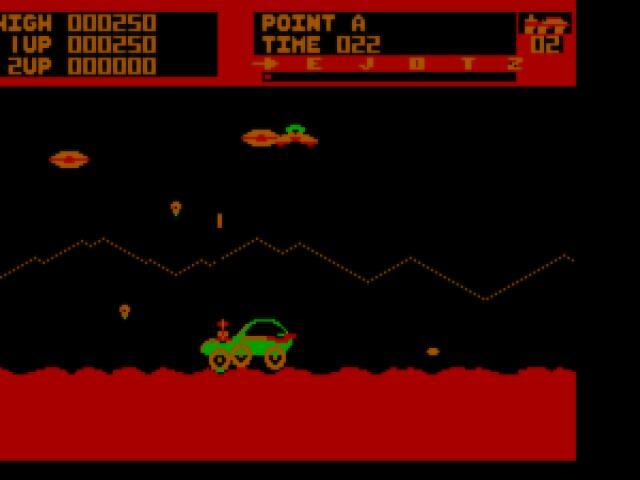 Therefore, the game requires you to pay close attention in front of your vehicle to spot boulders or craters while at the same time you have to avoid the alien ships shooting projectiles from above. 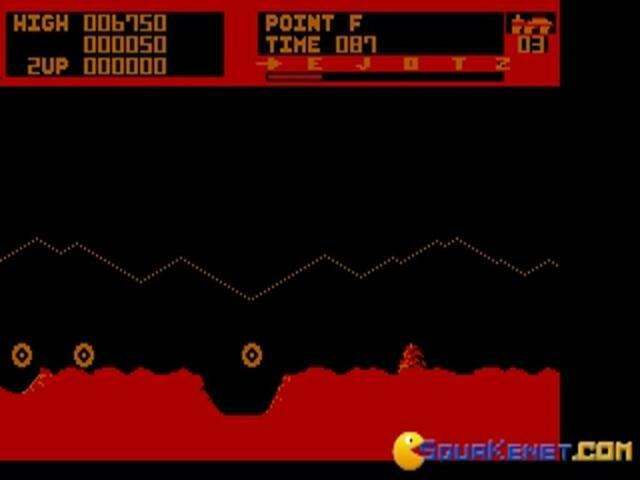 You can avoid these falling projectiles by moving forwards or backwards, but it your position relative to the edges of the screen will also influence the timing of your jumps as well as the time you have to prepare for them. 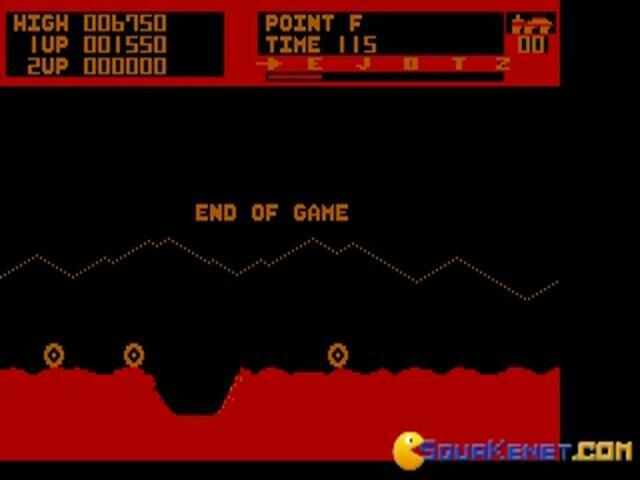 Thus, while very simple, managing all these concomitant actions and reactions can prove quite tricky, and, as many of the arcade era games, the concept remains simple but soon proves very hard to master. 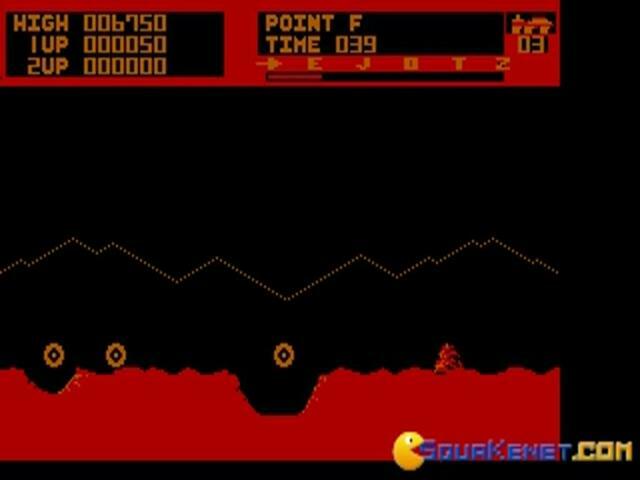 With the graphics looking almost like those of the original and simple control, the game is very fun to play on DOS as well so I do highly recommend it, being one of my favorites from when I used to frequent arcades.